Xanax (alprazolam) is a member of the benzodiazepine class of drugs. There are more than 15 different types of benzodiazepines, and together, these drugs represent some of the most commonly prescribed medications in the United States. Xanax and other benzodiazepines will typically display one or more of three different therapeutic actions. These actions include the ability to reduce anxiety, the ability to act as a muscle relaxant, and/or the ability to function as an anticonvulsant. To treat anxiety disorders: Xanax is the preferred medication used in the treatment of several different types of anxiety disorders, including panic disorder, specific phobia, social anxiety disorder, and general anxiety disorder. To treat insomnia and sleep disorders: Xanax is a useful sleep aid that is primarily used to enhance the onset of sleep due to its short onset of action. As a muscle relaxant: Xanax also has some utility in the treatment of muscle spasms. Xanax is also useful in the treatment of a number of other conditions, including depression (especially depression with irritability and restlessness), epilepsy, PMS, essential tremor, and irritable bowel syndrome. As a result of its treatment possibilities and relatively short onset of action, Xanax is the most prescribed benzodiazepine in the United States. Xanax (and all benzodiazepines) stimulate neurons in the brain that release or have receptors for the neurotransmitter gamma amino butyric acid (GABA). GABA is the primary inhibitory neurotransmitter in the central nervous system, and neurons for GABA are prevalent throughout the cerebral cortex. An inhibitory neurotransmitter reduces the firing of other types of neurotransmitters in the brain when it is released. Thus, Xanax acts as a central nervous system depressant by way of its agonistic effect on GABA neurons in the brain. Taking Xanax leads to a decrease in the excitability of other neurons in the brain, and this produces a reduction in anxiety, feelings of sedation, the potential to control seizures, the potential to induce sleep, the potential to relax a person, etc. As a side effect of their mechanism of action, benzodiazepines like Xanax also result in a mild feeling of euphoria and wellbeing. For this reason benzodiazepines are classified by the United States Drug Enforcement Agency as Schedule IV drugs, meaning that they are believed to have a potential for abuse and physical dependence, and can only be purchased legally with a prescription from a physician. 123,000 people were admitted to hospital ER departments as a result of Xanax abuse in 2011. SAMSHA also reports that between the years 2005 to 2010, the number of people seeking medical attention due to Xanax doubled (57,419 to 124,902). 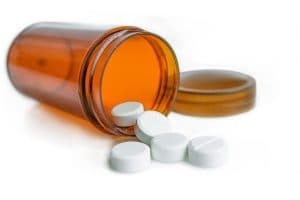 Xanax is currently the most commonly abused benzodiazepine for the same reason that it is the most commonly prescribed benzodiazepine: It has a short onset of action, it has a short half-life, and it is a high-potency drug. Thus, it is perceived as being “safe” by many drug abusers and is commonly a secondary drug of abuse (meaning that Xanax is used in conjunction with other drugs, such as alcohol, other benzodiazepines, opioid drugs, or even stimulants). Individuals who abuse Xanax as their primary drug of abuse are the lowest percentage of Xanax abuses across all age groups. This a very small percentage of all Xanax abusers. Individuals who use Xanax as the primary drug of abuse in conjunction with a secondary drug of abuse (e.g., a narcotic drug) are the next highest percentage of Xanax abusers across all age groups. Individuals who use Xanax as a secondary drug to accompany some other primary drug of abuse, such as alcohol or a narcotic drug, represent the highest percentage of Xanax abusers in the United States. Thus, recreational users of Xanax will typically procure their drug from some illegal source, such as buying it on the street or getting it from an individual has a prescription for the drug. For the majority of these individuals, the goal is to use the drug in conjunction with some other drug to facilitate the “high” of their primary drug of abuse. A smaller subset of individuals who develop substance use disorders to Xanax are individuals who originally got the drug via a prescription for medicinal use and then began to take it for nonmedical reasons. Individuals begin to express a loss of interest in activities that used to bring pleasure or were part of daily life. Individuals with a prescription begin taking Xanax more often than prescribed or taking larger doses than prescribed. Individuals are taking Xanax and do not have a prescription for the medication. Individuals use Xanax with other drugs, such as alcohol, opioid pain medications, or other benzodiazepines. People begin to spend more time trying to obtain Xanax (e.g., doctor shopping if they have a prescription or spending more time trying to get it from other sources if they do not). People spends a great deal of time either using Xanax or recovering from the effects of using Xanax. Changes in appearance, grooming, habits, and dress that indicate a lack of concern with appearance are present. Sudden changes in mood, mood swings, periods of irritability, etc. are present. Performance at work, in school, or in other important areas declines. People begin taking Xanax in order to cope with normal everyday tensions. Individuals are unsuccessful in either trying to cut down their use of Xanax or trying to quit using Xanax altogether. People miss important commitments as a result of their use of Xanax. Individuals get angry and defensive regarding their Xanax use. People begin to display issues with memory, attention, slurred speech, and other cognitive functions. Individuals begin to isolate themselves and may even be dishonest or secretive regarding their use of Xanax. People have mild flu-like symptoms when going without Xanax. People use Xanax in potentially dangerous or inappropriate situations. Because the majority of individuals who abuse Xanax abuse it in conjunction with other drugs, there is a real potential for overdose. Individuals who use Xanax with other central nervous system depressants, such as alcohol, other benzodiazepines, or narcotic medications, are risking an increased potential for overdose because the combination of these drugs lowers the threshold needed to overdose on either class of drugs. Individuals who take central nervous system depressants with stimulants are at risk for overdose because the effects of these drugs counteract each other. These individuals are more likely to take far more of one or both drugs than usual in order to compensate for this counteracting effect. Xanax overdose is an extremely serious event that can be potentially fatal and requires immediate medical attention. 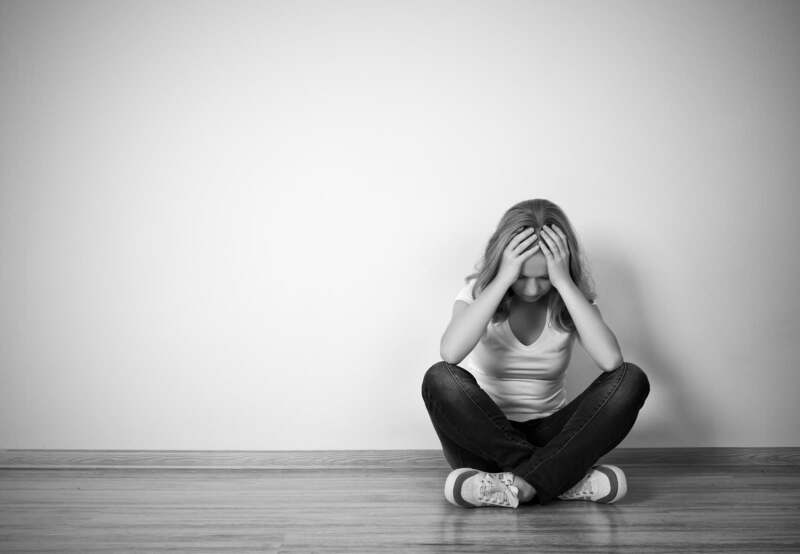 Individuals who have Xanax use disorders are typically also abusing some other drug or alcohol. This is a potentially serious situation, and these individuals need to be directed to treatment as soon as possible. Medical detox is always needed for Xanax addiction, and detox should be followed by comprehensive addiction treatment. Often, these individuals will need a full array of treatment services that include access to medical detox programs, residential treatment, and a full array of therapies and medically assisted services. Because Xanax has a potential for the development of physical dependence and addiction, and is often abused in conjunction with other drugs that have the same potential, a multidisciplinary treatment team consisting of addiction physicians, psychiatrists, psychologists, counselors, social workers, case managers, family members, and others will need to work together to develop an overall treatment program for the individual.